What's the weirdest thing you've ever been asked to color match while working at Home Depot? For years, Home Depot used to have this ad on TV of a parent bringing their daughter and a large purple stuffed animal to the paint department to get the thing color matched. And, guess what? It worked perfectly! The happy little girl ended up with an identical shade of purple in her bedroom. I don't want to be the one to do this... but that commercial is a lie! Unfortunately, when it comes to color matching, there is no disclaimer. There's no little yellow warning sign for customers to read stating "WARNING: Color may not match 100%". All they have to go on is the glimmer of hope found in that blissful commercial. 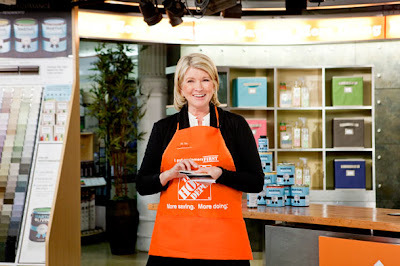 Martha in the orange apron. Classic. So, what exactly is color matching? In theory, how it works is: you can bring a sample of old paint or found object into a paint store that offers the service, and they can mix you a brand new gallon of paint in that exact same color (or close to it). Who gets color matches? 2 types of people: tenants trying to touch up holes they made in their walls to get their damage deposit back, and crazy people who want Starbucks green, or the red of their tomato that was on their sandwich at lunchtime. Technically speaking, a color matcher is a shoebox sized machine with a small round hole on one end for a sample to be pressed against to match. 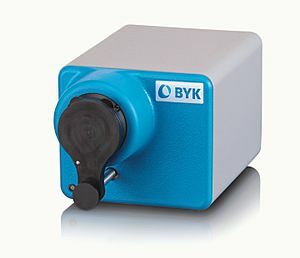 The color matcher (or spectrophotometer), illuminates the sample with white light, which in turn, reflects back into the machine and onto a small wheel. This wheel is a color analyzer, and filters the projected image and breaks the color down into a code and transfers it to the computer for the custom color to be dispensed. The technology is not perfect- and is about 95% accurate- which I have never seen advertised on any literature, just what I've gleaned over the years. Essentially, a color matcher zeroes in to a pin size of the sample provided. And, if there is any dirt, texture, or opportunity for shadow on that sample you have- it can essentially be making that color instead of the one the naked eye sees. I've had many color matches gone awry when the customer brings in a sample of wood decking, and wants that stain color matched. The spectrophotometer picks up on one of the little "valleys" in the wood grain, and makes the darker color. And then there's this awkward silence, because I've just made a $30 gallon of paint that I have to try and sell, and the customer knows he won't take it because it's not the color he needs. ﻿The most common misconception with the process is that when a color is matched, that the spectrophotometer will direct the user to the closest color on the wall of swatches. What actually happens, is a brand new custom color is made. 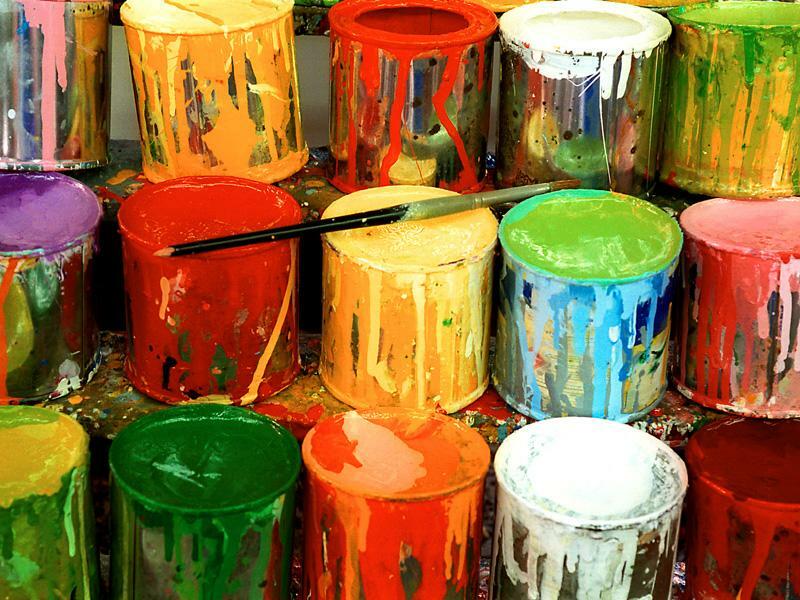 The danger is, that as a paint mixer, I don't even get to see what that color looks like until it is dispensed and mixed! Ahh! Scray stuff! My advice: after working with this damn machine for almost 5 years- and seeing all the disasters that have come about from using, I urge people to find a swatch that best represents the color they desire. A swatch can be guranteed. A color match, not so much.